Got this from unstable portal in the tavern brawl, opponent instant concede lol. Same here lol. Absolutely OP in this brawl! Lived and died in the shadow of Dr.Boom. RIP. My favourite card at the moment. I use him much more than Dr. Balanced. In control decks, on a near empty board or behind taunts he's an absolute game-turner. Troggzooooor! Extremely useful card, easily better than Dr. Boom if you throw him behind a beefy taunt. 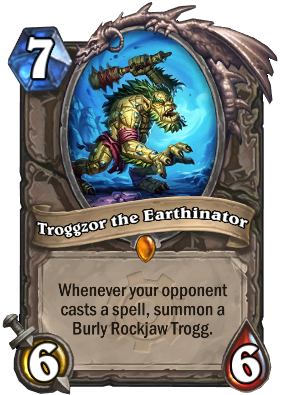 The only reason Dr. is more widely used is because he makes an instant board impact, but if you're running a control deck, Troggzor the Earthinator is your go-to, guaranteed 2-for-1, if not a game winning, card. In my humble opinion at least. 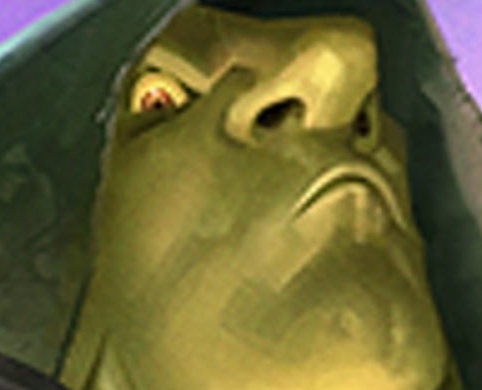 In universe with no Dr. Boom best neutral legendary probably. my first legendary with Voljin, opened them togther! This guy actually works wonders in ramp druid. Get him behind some sort of taunt and the opponent is severely restricted from playing their game. 1. you can't force your opponent to use spells. If they are determined to not use it, you get a 6/6 for 7. 2. its not that hard to remove a 6/6 with a single spell. In that case, getting a 6/6 + 3/5 for 7 isn't exactly incredible. Your 2nd point is seriously flawed. First of all 9/11 for 7 mana in 1 card is amazing (obviously there are better combinations of cards adding up to 7 mana cost that are better), and you forget that the 3/5 also discourages the use of spells or it'll grow. In the worst case your opponent is using 2 cards to kill it - one of which being a big spell if it can kill a 6 toughness creature - which is card advantage for you. 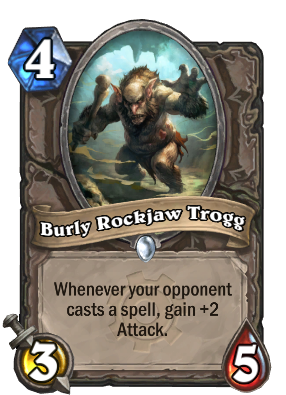 This card is fantastic when used optimally, the only spell it might be afraid of is Lightbomb because the rockjaw should be hit by it as well. Casting it naked is obviously a terrible play, but if you can get it out early via ramp or behind big taunts as pomonkeypo pointed out, you're in a nearly unbeatable position. Remember when everyone thought this is the most OP card from the GvG set? And then StrifeCro said "Nah, I'm just gonna play Dr. Boom". And kids, that's how Dr. Boom became the most OP card in the game.